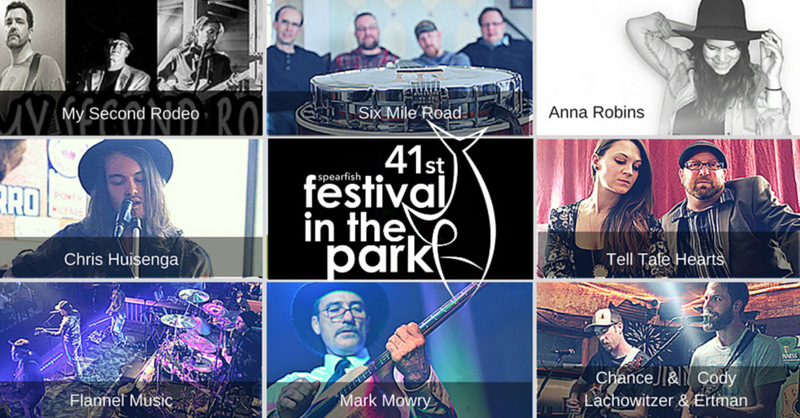 Get ready for a great 3-days at the 41st Festival in the Park (FIP). The festival features eight bands in three days. Scroll down for events and entertainment line-up. It’s our fundraising night. You may pre-purchase at The Matthews Art Gallery, Spearfish Chamber of Commerce, Visit Spearfish, Lucky’s 13, Killian’s, OR at any of the entrances into the festival grounds this evening. Children 10 & younger with a paying adult get free admission. NO PETS. Thank you to the sponsors that help us bring this summer event to the Black Hills! This entry was posted	on Thursday, May 3rd, 2018 at 3:28 pm	and is filed under Festival in the Park 2018, News & Blog, Past Live Shows. You can follow any responses to this entry through the RSS 2.0 feed. Both comments and pings are currently closed.